Do you know the books of the Bible, in order? Do you remember when you learned them? I think I was five years old when I first learned the books of the Old Testament. I was at Vacation Bible School, and a brown-haired lady (who was probably actually just a teenager), strummed on a guitar and sang through the books of the Bible every day that week. I could still sing that song to you now, and that song is how I navigated the Old Testament throughout my childhood. It took me a while longer to learn the books of the New Testament, but having the books memorized served me well. It helped me to have a little direction when I got my first “grown-up” Bible. I knew generally what I was looking at, and knowing the books in order helped build my comfort in navigating God’s Word. I am hoping to start working on learning the books of the Bible with my own kids this year, because I know from personal experience that this is knowledge that will serve them well, too. And you can probably already guess my preferred method! There are many songs for books of the Bible that are available online, and I highly recommend finding one you like and singing it with your kids every day! Putting facts to music is one of the best ways for kids (and adults) to retain information. This is how I learned the books of the Bible, and eventually I could say them without singing as well. Once your kids have a books of the Bible song memorized, I think it is important to translate their knowledge into a context where they can actually use it, and hopefully cement it into their minds. For that, I suggest games! If you have a creative side, you can probably incorporate books of the Bible into games your children already like to play. For example, you could play freeze tag where they have to recite the next book of the Bible to be freed, or “Old Maid” with books of the Bible written on the cards instead. But my favorite “game” for helping kids learn to navigate the Bible is “Bible Drills”. Have your children grab their own Bibles, and then call out a book – first child to turn their Bible to the correct book wins! I like this game best because it helps kids develop familiarity with how the books are laid out in their own Bible, and the length of each book. You can also make it a little more challenging and add chapter and verse as well. 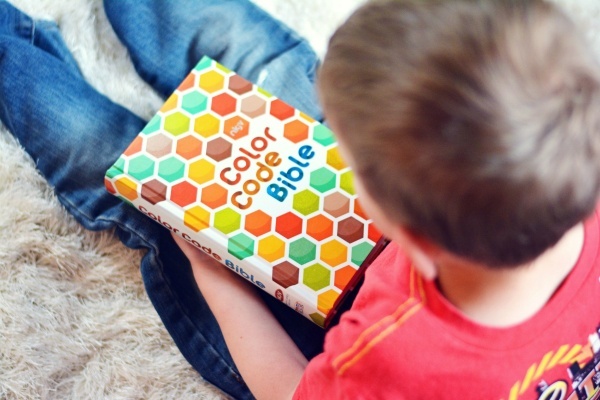 Of course, you’ll want to hold off on this if you plan on doing Bible Drills, but getting your child a Bible with page tabs can also be a way to help them familiarize themselves with the different books of the Bible. Encourage your child to look up the verses that are mentioned in church, or the chapter you plan to read for family devotions. 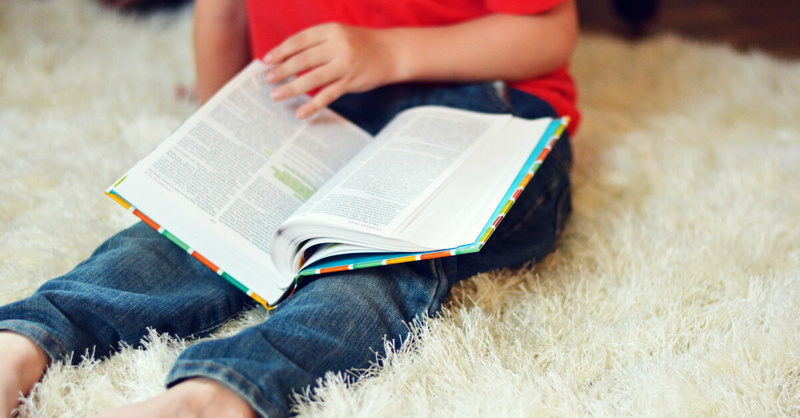 Kids need practice with a real-life Bible so they can start to remember where different stories are located, and using a Bible with page tabs makes the process of looking things up less intimidating for kids who are still getting the hang of it. In the process of helping your child learn the books of the Bible, don’t forget that head knowledge is not the most important thing. I was sitting in church recently listening to a missionary give a guest sermon, and he admitted that he had never learned the books of the Bible. It was then that I realized that knowledge is only useful to a certain point – this man was not godly because he knew intellectual facts, but because he loved and served the Lord. It is great, and helpful to have the books memorized, but more importantly we want to make sure that our children are familiar with the words inside the Bible. I love the Color Code Bible for that because it color-codes different sections of Scripture based on topic (ex. Spiritual growth, prayer, God, etc. ), so your child can get a handle on what to look for in different Scripture passages. It’s a great tool for helping your kids find what they are looking for and remember where to look for certain topics. Learning the names of the books is not as important as learning what God has to say within those books. If your child doesn’t ever learn the books of the Bible, that is okay. Let’s first focus on instilling a high regard for God’s Word in our children’s hearts by having a high regard for the Bible ourselves and modeling that for them. Memorizing the books of the Bible is just a bonus. 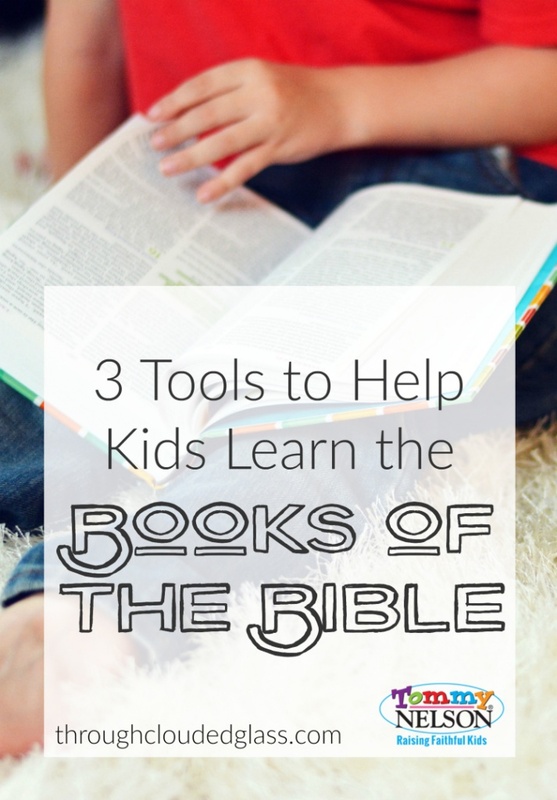 Have you helped your kids memorize the books of the Bible? What is your favorite method? This entry was posted in Uncategorized by Callie Nicole. Bookmark the permalink.